Have you been hit with days or even weeks of rain? Get THE FASTEST soil penetrant on the market with Penterra! This is a wetting agent like no other. Hear what other golf course superintendents have to say and see for yourself here. Press PLAY below and you’re one step closer to getting back to PLAY time on your golf course or athletic field by ordering the fastest-acting soil surfactant, PENTERRA, that will have you wondering why you ever used anything else. BEATING THE COMPETITION SO YOU CAN GET IN THE GAME! No more puddles. No more sitting water. GET PENTERRA ON THE COURSE AND GET IN THE GAME. Get the water moving through the soil profile. 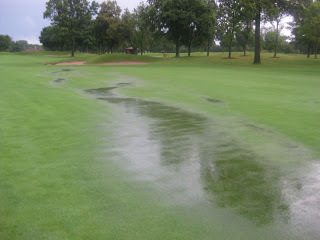 There is no better water management for turf maintenance and golf course managers.